a five-course Indian meal or a five-course Japanese meal or any meal really. The courses of the meal can be of varying sizes and ingredients, but you do not want to totally stuff yourself on any of the courses or you won't have room for dessert. 1. 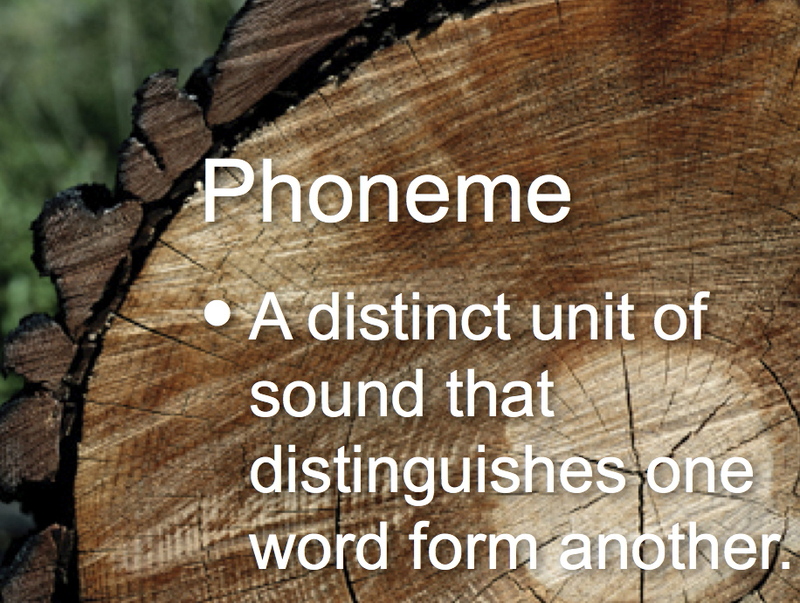 A phoneme is a unit of sound that distinguishes one word from another. Consider the phoneme as a molecule of an ingredient of food in your five-course meal. 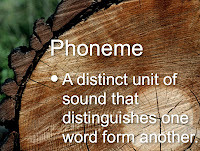 Phonemes differ from language to language and can be a source of errors. A student sent me this email: "My plane was delayed. There was a tycoon." He chose the wrong phoneme and mixed up the "k" sound in "tycoon" with the "f" sound of "typhoon." If you choose the wrong phoneme, you lose the meaning of your word and ultimately of your sentence. 2. A word is a unit of meaning composed of one or more phonemes. Consider the word to be like an ingredient in one of the courses in your meal. 3. A sentence is a collection of words put together to create a message that includes a subject and a verb. The subject is usually a noun and the noun can "be" or can "do" something in your sentence. Just like you need the right ingredients to make a soup and not a soufflé, you need specific parts of speech to make your sentences say what you want. You need a noun and a verb. To add flavour, you might throw in an adverb or adjective. Articles, conjunctions, and prepositions are the secret ingredients that hold your dish together. To sustain the metaphor, the ingredients (words) are put into sentences (dishes). These dishes will form a course of your meal. For example, stir-fried vegetables, rice, and a chicken ball might be your main course. Broth, won tons, and green onions together would be the soup course. 4. Related sentences are grouped together to form paragraphs. When the story takes a turn, the writer will usually start a new paragraph. When you finish one course - soup, salad, or appetizer - you move smoothly into your next one. Your paragraphs are just long enough to give you the flavours of that dish and lead you to the next. The meal analogy can work for short pieces of writing. In longer pieces of writing, you must create a section or a chapter composed of several paragraphs. Give it a sub-heading to guide the readers along. This meditation occurred because I was reading an essay that has four paragraphs consisting of 408, 186, 120, and 359 words. My reading was interrupted by the long paragraphs and instead of finishing my marking, I wrote this blog. I wish the long paragraphs were broken into more bite-size pieces. Paragraphs should not fill a page if you want to write better (dammit).